This classy set of two edge panel supports provide an easy method to wall-mount your glass panels. They are designed for glass ranging in thickness from 3-6mm thick, perfect for displaying StudioZo glass. Choose from a glossy chrome or matt aluminium finish; both will transform your glass and create a clean, modern look. These are sold in sets of two. 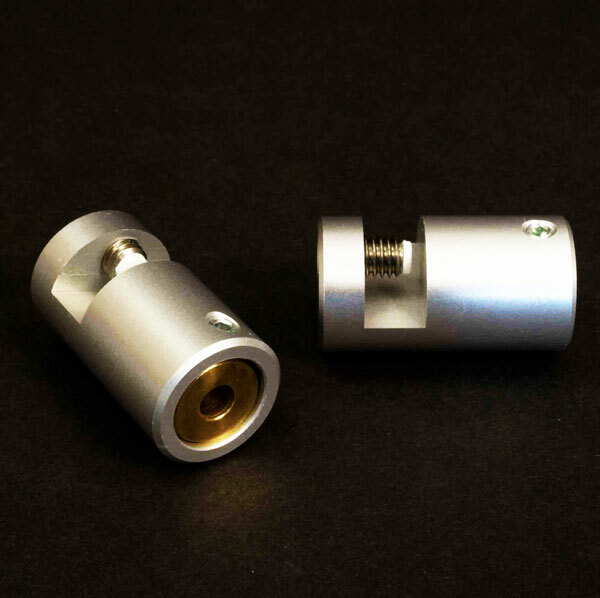 The measurements are 34mm x 19mm (L X W) with your piece standing 20mm off the wall. Please note screws and allen key for fixing to the wall are not provided. The price is for 2 stand-offs (i.e. large pieces of glass may need 4 stand-offs).